Branding herself as the “Entertainment Marketing Diva,” Nagel is also a noted speaker, author and educator who has worked extensively with award-winning feature film and television studios, representing animation studios from around the world, as well as animation content creators. 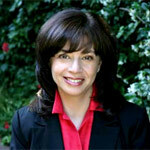 She is a founding member and president emeritus of Women in Animation International, an active member of ASIFA-Hollywood and the Academy of Television Arts and Sciences, and has been teaching for over 14 years at many universities, including Otis College of Art and Design and Santa Monica College. Toronto Ontario, September 13, 2017 – Pete Denomme, CEO/Executive Producer of Switch VFX & Animation today confirmed the appointment of Jan Nagel as the companies’ local representative for production facilities and studios in the Los Angeles area. Branding herself as the Entertainment Marketing Diva, Jan is also a noted speaker, author and educator having worked extensively with award winning feature film and television studios representing animation studios from around the world, as well as animation content creators. She is a founding member and president emeritus of Women in Animation International, an active member of ASIFA-Hollywood, the Academy of Television Arts and Sciences and has been teaching for over 14 years at many universities, including Otis College of Art and Design and Santa Monica College. Welcome to a great combination of the past and future from Switch VFX and Animation Studios working for Nice Shoes Studios. Switch’s EP and founder Pete Denomme was presented a unique challenge by Nice Shoes’ Creative Director Harry Dorrington: create classic Disney character animation in less than four weeks on a limited budget. After Harry created the initial characters, the first critical step was to create a very specific shooting board with the Nice Shoes team, which showed where each character was in each frame. Pete then had a team of his finest traditional Disney animators do their magic with pencil and paper in less than two weeks. He scanned their organic work frame by frame and finished ink and paint in the remaining two weeks. The result was a classic Disney look at a fraction of the usual schedule and budget. We’d like to thank Creative Director Harry Dorrington, E.P. Angela Bowen and CEO Dominic Pandolfino for a most excellent opportunity. We hope that you enjoy the work. #VFX by Switch VFX & Jon Campfens! Check out the trailer to see some of our great work. Congratulations to our partners on the clever creation of new commercials. Completed in only 4 weeks the two spots we worked on are hand drawn, traditional animation, scanned and painted in Harmony, composited in Nuke. Credits: Nice Shoes & Harry Darrington, Creative Director. Meet the 2017 Scholarship Winners! Congratulations to our seven scholarship winners! We wish them the best of luck pursuing their passion and are excited by the prospect that they are working to advance the field in animated features, shorts and digital opportunities. It is critical that we support the education of our future digital artists and encourage our colleagues and competitors to do the same. The demo reels of our winners can be found in the new Scholarship section of our website. Welcome to Wayne premiered on Nickelodeon on July 24th…did you know that we worked on the webisodes that greenlit the series…now you do. Check it out HERE. Five Canadian colleges were chosen to receive a financial endowment to support a student studying animation or visual effects. 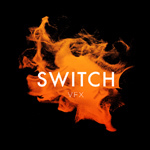 TORONTO — After careful consideration, five exceptional Canadian Colleges with stellar animation and visual effects programs have been chosen to grant the Switch VFX & Animation Scholarship Awards. These financial endowments will be administrated by each institution based on requirements developed in coordination with Switch and individually outlined for each program. Criteria: Awarded to a student in the Animation Program enrolled in the Faculty of Media and Design who is a team player, hard worker and demonstrates initiative. Criteria: Awarded to a third-year student in the 2D Animation stream or the Digital Animation stream of the Animation program. The recipient is a team player who is hard working and shows initiative. The recipient performs well in animation specific courses or projects. Criteria: must be enrolled full time in Animation – 2D/3D Program, must be in the second year of the program, must have a GPA Average of at least 2.0, must be a team player who is hard working and shows initiative, shows potential in the well roundedness of their overall talent. Criteria: Presented to a student in the Visual Effects program who shows the most potential in the well roundedness of their overall talent. The student will excel in visual effects.